Choose from 3 designs or download all. They are big enough to be printed A3. While this product and instructional videos are FREE, I would be grateful for any donations, Thanks! ‘Add to Cart’ is FREE. What’s it worth to you: You decide! Just alter the amount and click donate. PLEASE NOTE THIS ITEM IS A FILE DOWNLOAD TO BE PRINTED YOURSELF. 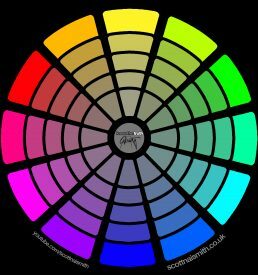 If you search YouTube for ‘Naismith Colour Theory’ you will find a number of instructional videos about colour. Here is a link to the full playlist. 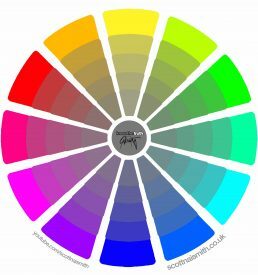 These are intended as an educational resource for artists and designers who are looking to have a better understanding of how to effectively use colour. It aso gives an insight into the concepts behind the colour used in my paintings. 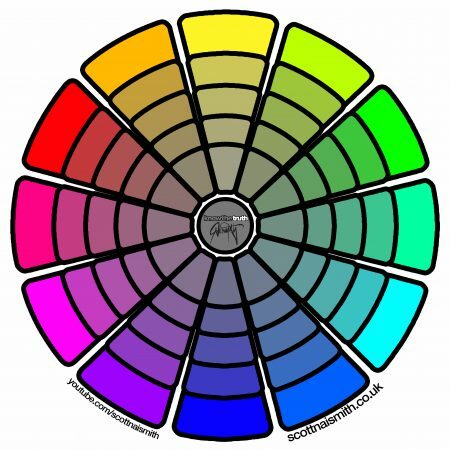 The most significant of these videos is a video entitled: ‘The Truth About The Colour Wheel’. By analysing the language and physics of colour, I identify the drastic flaws of the traditional painters’ wheel and the havoc it brings to balance and colour mixing. 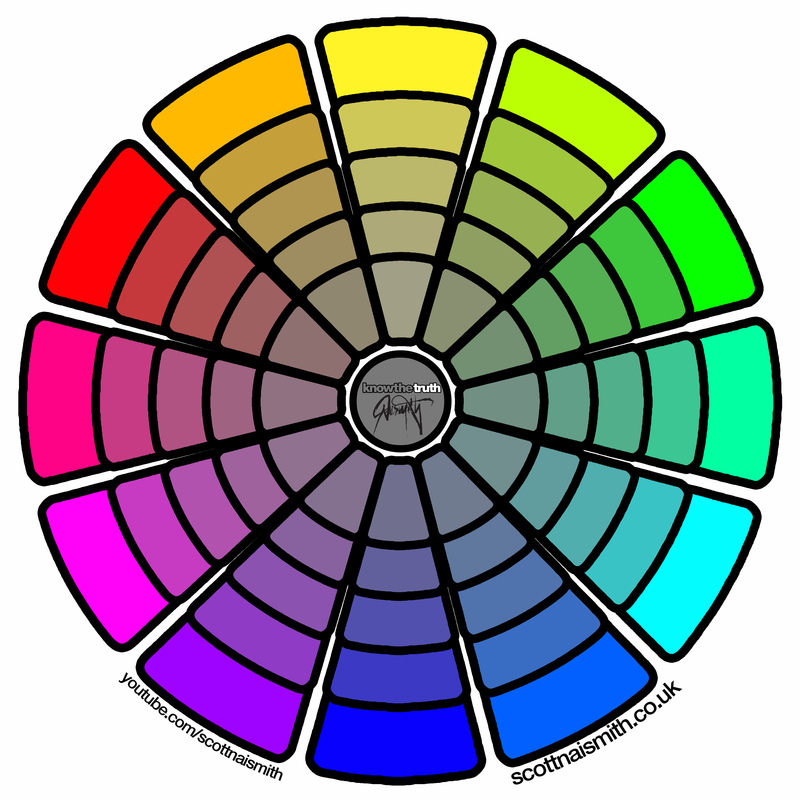 Many have asked for one of my colour wheels, so I am now making it available as a free download file by sharing here via my shop.